Have you ever considered that perfection is, indeed, a very devious creature? Just think about it. Let’s say you work on a task and you put a lot of effort into finishing it. And finally, there comes the moment, when you are ready to cross the task off your list. Then, the next day arrives. You suddenly realize the task you just finished yesterday could be improved, just a bit. The work that seemed so perfect yesterday, suddenly became incomplete overnight. In other words, nothing is ever perfect! But just as I said that, you may find it confusing when I say: everything is perfect. So, consider this example. Let’s say you prepared for an exam that was related to your work. Unfortunately, you still didn’t manage to pass the test. In this case, it’s very easy to say that the result was a failure (and that you are a failure, too). But, do you realize that everything regarding to that test, was perfect, even if you felt it was a failure? The result you got was exactly what you could get, with the knowledge you had at the very moment, when you took the test. Also, you did the preparation with the exact habits you had and with the current studying techniques you knew, with the time, place and you focus you had. Everything went according to plan, in other words perfectly, even if you hate to admit it. Understand the nature of perfectionism. Be aware, there will always be something left to do, no matter how much work you do or how much effort you put into finishing a task. Understand that perfection is slowing you down. If you try to make everything perfect with your work, you will make yourself and the people around you crazy. You could spend hours and hours trying to finalize something. Often, your task is ready much sooner than you think, and the final tweaks won’t add too much value to it. Ship now, fix later. Now, this advice is very easy to misunderstand. Naturally, I’m not talking about delivering something incomplete, when it’s not obviously finished (say, building a car without wheels, creating an application which crashes right at the same minute you open it …). Yet, you can very often deliver your results to the world first, and then do the fine tuning later. For instance, when I was building software to the clients, we had a delivery date we had to meet. We also knew that it was impossible to have a bug-free application before the launch date. Yet, we still shipped the product (and of course, we notified the customer about the deficiencies in advance), but kept improving the application on a continuous basis, after the launch. The customer was ready to start using the application; however, if we had waited until every single bug was squashed, the project had taken twice the time it then took. Set limits. Figure out if it’s possible to set limits on the time you spend finalizing your task. This way, you are not spending eternity on the “almost ready” phase. Create a checklist. Define the criteria you should meet, before you can say the work is done. When the criteria are met, you can let go of the task on your hands. Just define your done. Perfection is an overrated trait. So, unless you are doing something where you need precuse accuracy, or you are in a demanding job (an airline pilot, a heart surgeon …) perfection is just slowing you down. 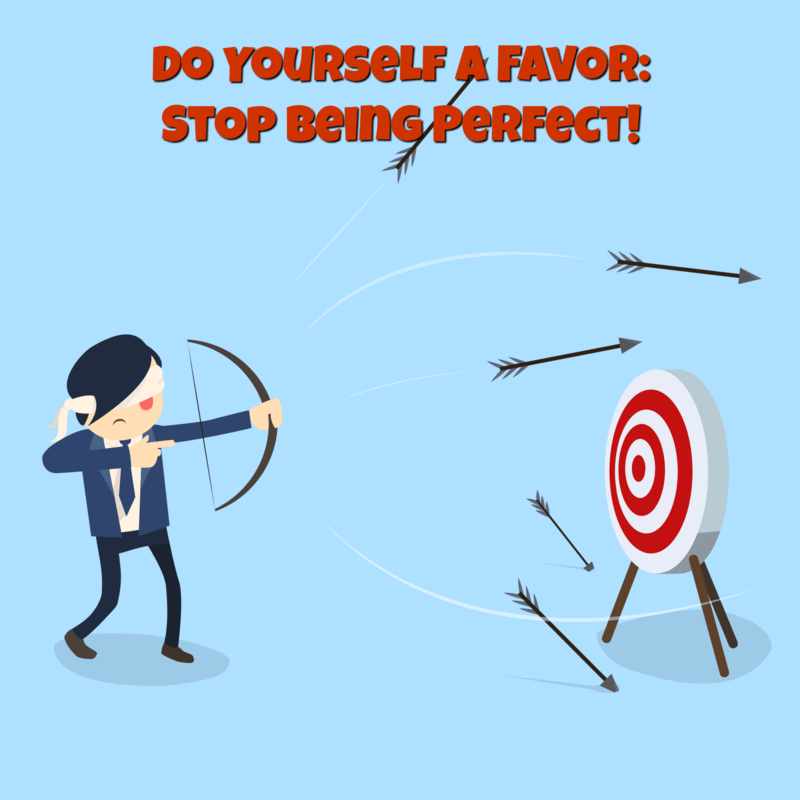 Leave a comment: How are you dealing with perfectionism? Is it something you are struggling with, right now?